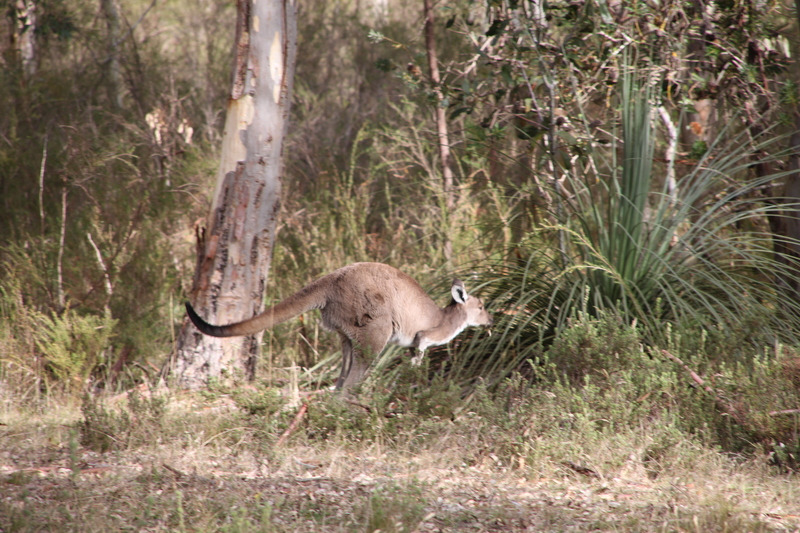 Taking a morning stroll through the Kaiser Stuhl Conservation Park in Eden, we were able to see our first kangaroos at a photograph-worthy distance. In addition to grazing, I saw them kissing. 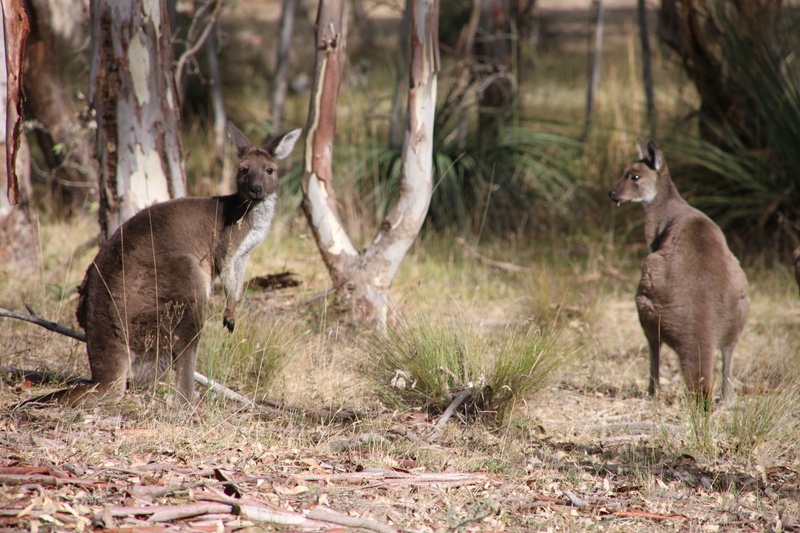 I also saw them hopping (duh). 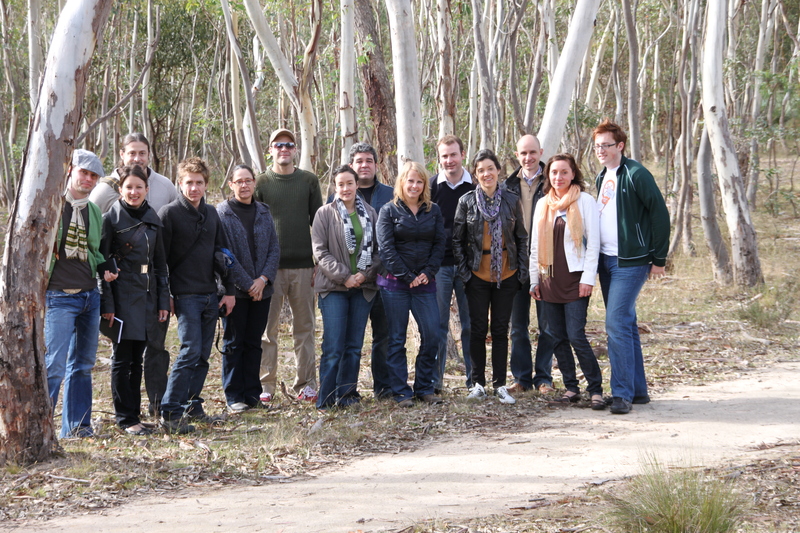 Our group, among the gums. I am thankful for such a lovely bunch of folks, as we are spending an ungodly amount of quality time with one another. I wonder how many bottles of wine have been consumed between us so far? I bet someone has been keeping track. I may or may not publish that number. 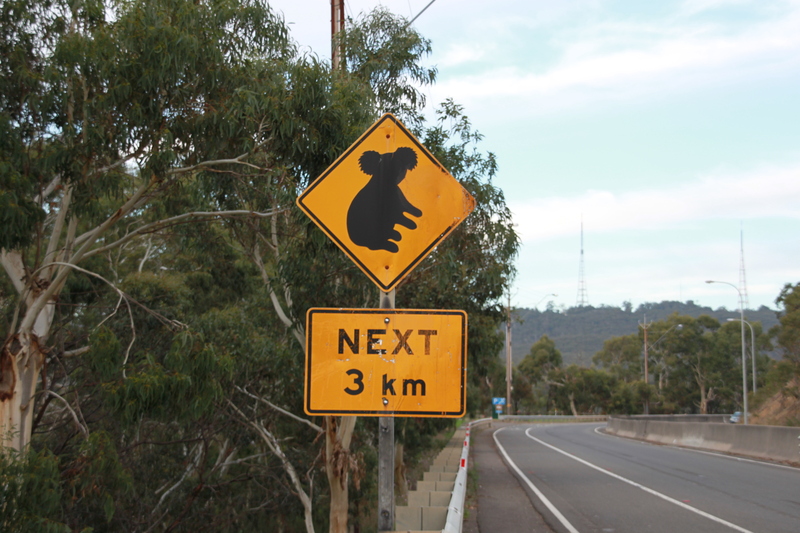 On our way to Adelaide, we passed through a high koala traffic area. 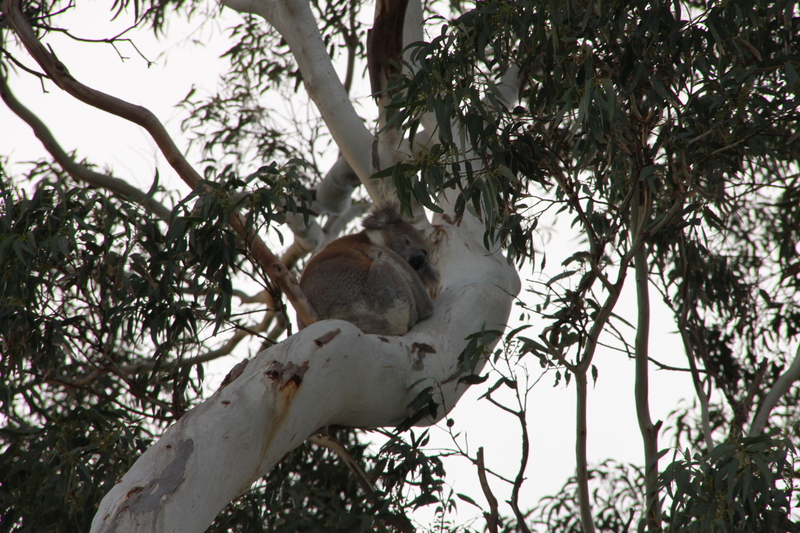 Turns out that in the tree next to the caution sign along the highway, we spotted a koala. This animal-heavy day also happened to include Hill of Grace and Grange, but that is for another post. 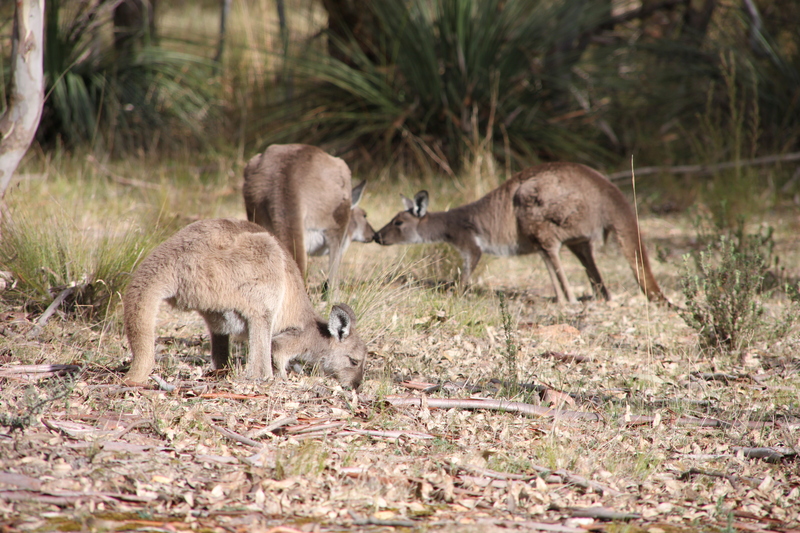 Can you eat kangaroo meat or is it tough and chewy with all that jumping around they do? It’s not bad, actually. Think less-gamey venison.